Is there something in the Florida soil? 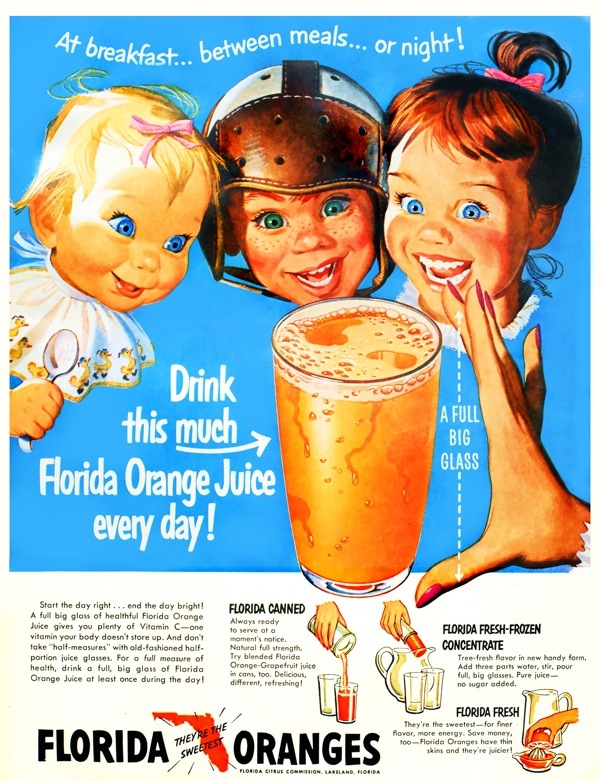 This 1950s ad suggests that Florida juice turns children into psychotic dolls. wow. These kids look really into that juice!